Bo Cibilic, on his family's boat. It's a spring day on the Louisiana bayou, and Bozidar "Bo" Jakov Cibilic is hauling in a metal crate of oysters. Cibilic grew up on the water, and on a good day he brings in 15,000 pounds. Things haven't always been this way. The industry took a beating after Hurricane Katrina, and while Cibilic's boat survived, he had to put business on hold for six months because the oyster beds were damaged during the storm. During that time, he did odd jobs and some work for the state, which contracted fisherman to test the seabed for pollution. Still, Cibilic, 25, was lucky. His boat, which was built by his father 25 years ago, had been stored in a marina so it withstood the storm. About 40,000 commercial vessels were reported lost or damaged, which represented 75% of the state's fishing vessels. 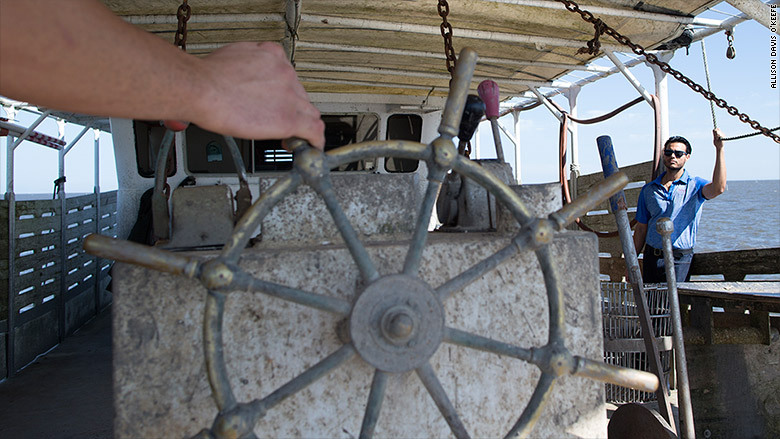 Louisiana's seafood industry took a $1.3 billion loss, according to an impact report. It wasn't just fishermen who were hit. Nearly all of Louisiana's seafood processors were in a hurricane-affected region, and not only were their facilities destroyed, but the labor force took a huge hit. Family-owned Tommy's Seafood is one of the processors that was completely wiped out by Katrina. Chalin Delaune, whose family owns Tommy's, has been processing seafood for the last 35 years, and they regularly buy oysters from Cibilic. When the storm hit, the Delaune family didn't lose just their new warehouse, but also $200 million in inventory, which wasn't insured. "When Katrina came, that was the last stand for people, because this was an older generation," Delaune said. He was only 15 when the storm hit, and he remembers returning to New Orleans and seeing both the business and the family home destroyed. 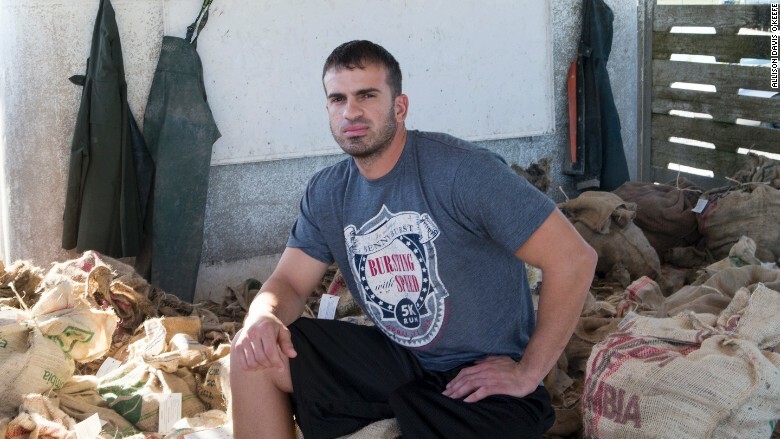 He saw bodies on the ground, and described his city as a "war zone." Delaune, 25, credits a family friend with helping to get the business back on its feet. A supplier in Georgia sent trucks loaded with inventory right after the storm hit, so Tommy's could be one of the first companies to start delivering seafood. Delaune said that's typical of the seafood community in the Gulf -- even competitors help each other out. Delaune and Cibilic have been friends since childhood, and they never questioned going into the family business. That's becoming a rarity, as the number of people working in Louisiana's seafood industry has declined over the years. That's in part due to natural disasters, but there's also been intense overseas competition in recent years. In the 1980s, there were nearly 27,000 licensed commercial fisherman. It's dropped to about 12,000 today. "I feel privileged to be able to say that I'm in an industry where more people are leaving than are coming in, that I'm one of those who decided to stay and make the best of it," Delaune said. It has taken the last decade for Tommy's Seafood to bounce back, and now it's a top distributor in the region, handling a third of the state's catch, including shrimp, crab and oysters. "We eat, sleep, breathe seafood," Delaune said. "There's something about the food and the cuisine we have here that settles you." He grilled cheese-covered oysters on Cibilic's boat, and slurped out the meat before tossing the shells back into the water. The shells could eventually spawn new oysters. "At the end of the day, we couldn't survive without one another and we know that, so it's just like a family," Delaune said. "You have your good days, you have your bad days, you fight, you argue, but at the end of the day, you all love each other." 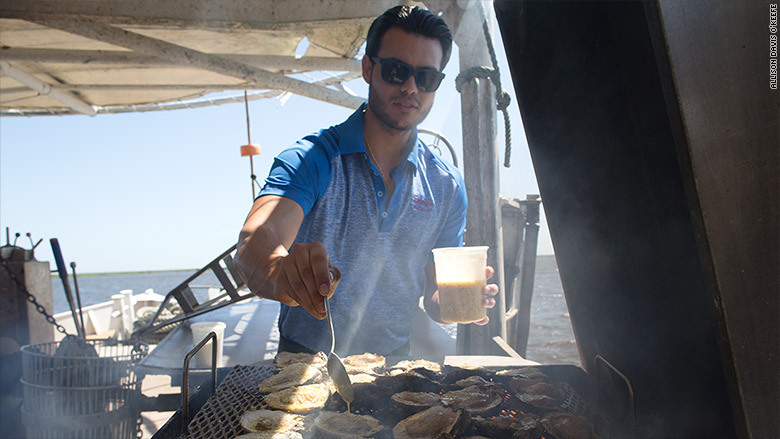 Chalin Delaune cooks oysters on his family's boat.